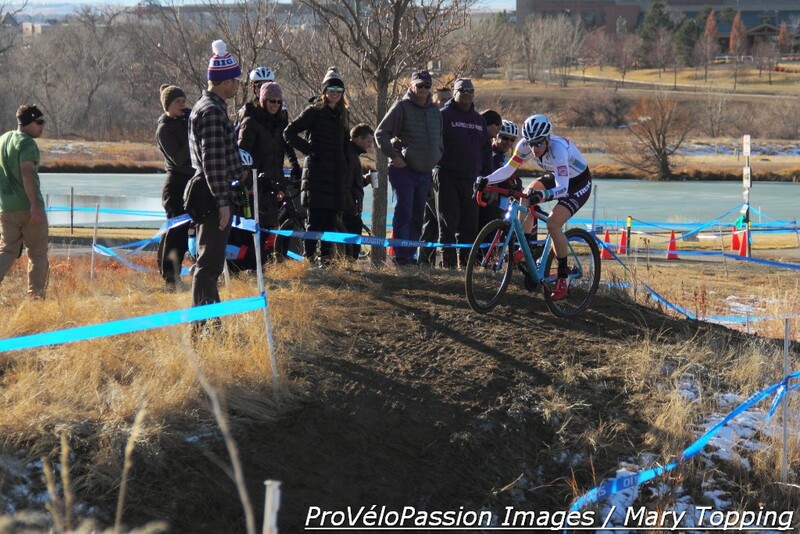 The Sunday December 11 Colorado cyclocross championship races delivered interesting takeaways about the state of the elite fields. While the message from the men’s field was all about change, the women’s story speaks of endurance and constancy. A core group of local women riders finished in the top ten, continuing their consistency over the past five years. This group includes Kristin Weber (Boulder Cycle Sport / YogaGlo), Melissa Barker (Evol Racing), Kristal Boni (Rapid Racing) and Lisa Hudson (Feedback Sports). Count Caitlyn Vestal (Feedback Sports) in that group also. 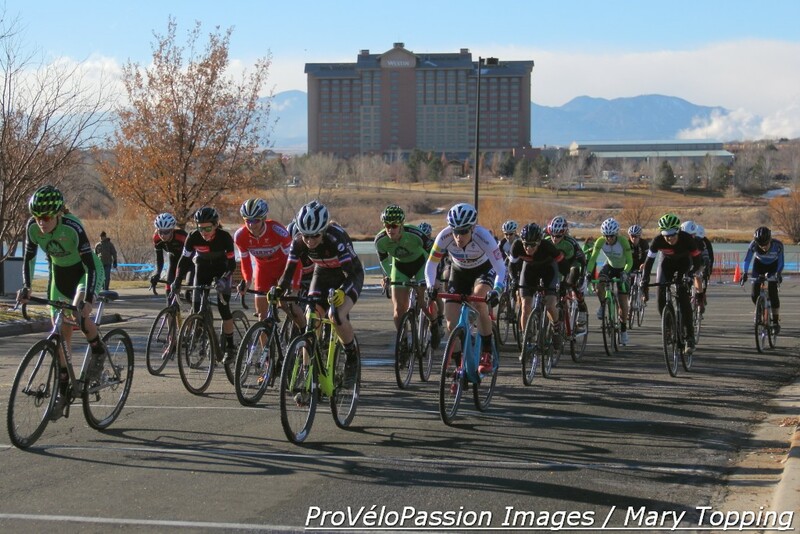 Sixteen year-old Katie Clouse (Alpha Bicycle Company – Vista Subaru) fits in this pack too in a special way; she’s been a regular in the elite field since 2012 or earlier. 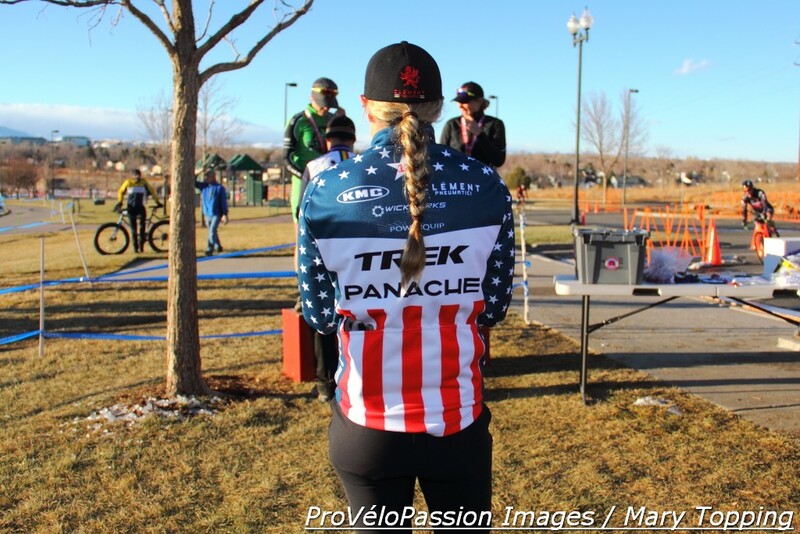 Clouse was excited to compete for the first time in the same field as Katie Compton (KFC Racing p/b Trek, Panache). Both started fast and rode wheel to wheel onto a hillside where Clouse slid out on an uphill corner. Compton peeled away and stayed off the front the entire race. Clouse wrestled for and landed second place ahead of Meredith Miller, the 2014 state champion who’s been appearing locally from time to time post-retirement. The win by U.S. cyclocross champion Compton reinforced the women’s field’s constancy theme, as the victory called to mind her last and first women’s elite ‘cross states outing when she won the race. 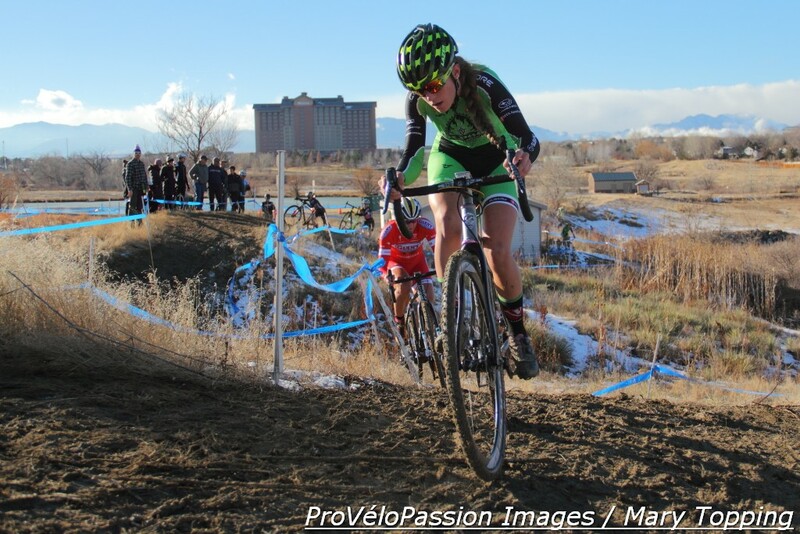 * That was in 2004, the year she began to collect a now 12-year string of national cyclocross titles. By winning the 2016 state championship Compton effectively came full circle, tracing a line back to the start of a career of extra-extraordinary domestic and international cycling achievements. For a rider of Compton’s stature the 2016 state title sits lower on the ladder of prestigious events. Nevertheless, Compton’s laser focus was in play that Sunday. After the race she mentioned not feeling her best, but for a good reason: she’d been resting at home the past week and enjoying a bit of fun recovery time. “I’m ready to get back on it,” she added, as she looked ahead to what’s next. She’ll train until ‘cross nationals in early January. The last World Cup in Hoogerheide is on her schedule, and then world championships in Bieles, Luxembourg on January 28. Assuming she can sort out some details, she’s aiming to stay in Belgium for February racing. “It’s some racing I’ve been wanting to do every year but never had the energy for,” Compton said regarding the February contests. Based on those comments many fans will cross arms, legs, fingers, toes and eyes in hopes that February racing will follow another first in 2017, one that would inscribe a rainbow over her incredible career to date. * Compton didn’t earn the title in 2004, due to a license issue. The title went to the second place finisher.